Nerja is a beautiful little town at the eastern end of Costa del Sol. With its peaceful atmosphere, traditional white-washed buildings and beautiful surroundings, this town is a great destination for tourists all year round. Nerja’s old town is one of the main sights with its winding streets and traditional white-washed buildings. At its heart you will find the Balcony of Europe, part of an old fortress which is now pedestrianised and lined with restaurants and cafés. You can take a horse-drawn carriage to explore the town or wander around to let yourself be amazed by its calm and peaceful atmosphere. The Nerja Caves are without doubt the town’s most fascinating attraction. Located just three kilometres from the town centre, these caves are home to the tallest stalagmite in the world. One of the vast halls has been transformed into a concert hall where you can see live performances throughout the summer. Don’t miss the large aqueduct from the 19th century on your way there. Nerja is surrounded by a beautiful mountain landscape, which makes it a popular centre for hikers. 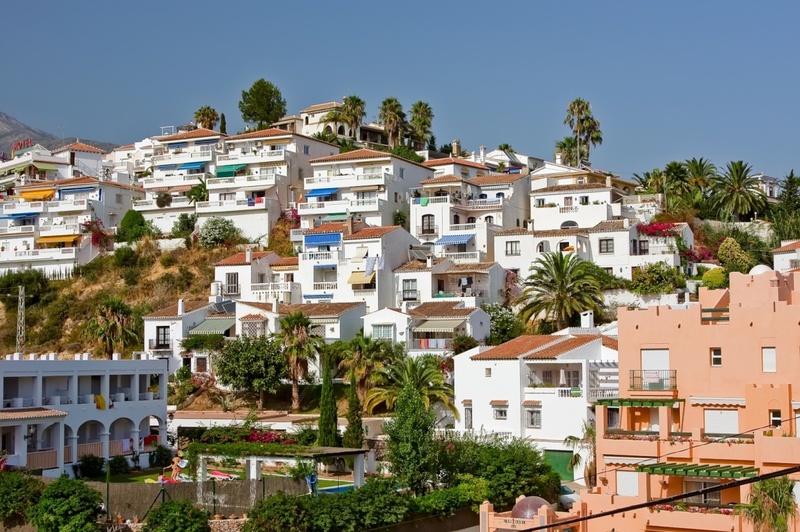 There are plenty of traditional Andalusian villages in the mountains above, including the spectacular little pueblo blanco Frigiliana that has often been called the prettiest village in Andalusia. The steep cliffs meeting the crystal-clear water of the Mediterranean creates private beaches and coves where you can enjoy much more relaxed sunbathing than elsewhere on Costa del Sol. The coastline is also popular with snorkelers and scuba divers, especially the area around the Maro-Cerro Gordo Natural Park.The town has plenty of restaurants serving everything from traditional tapas to fish and chips. Most of them are located within the charming old town. There are many clubs in Nerja with live music to suit all ages, particularly around Plaza Tutti Frutti. Find information about selected Hotels, apartments and rooms in Nerja to choose the perfect place for your accommodation.